How high are realtors´ and lawyers´ fees in the Jordan? What about other property purchase costs? How difficult is the property purchase process in Jordan? Foreigners are allowed to buy property in Jordan, provided Jordan and the buyer´s country of residence have a reciprocal relationship, and that the approval of the Cabinet (Council of Ministers) is obtained. Foreigners can only sell the property five years from acquisition. 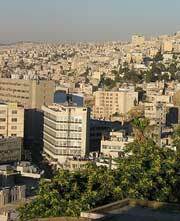 Most properties for rent and for sale can be found in Amman, Jordan´s capital city. The registration fee of 9% (unequally shared by the buyer and the seller) is paid to transfer ownership of the title after closing the transaction. The whole process of registering a property can take around 23 days to complete. Jordan uses the Jordanian Dinar (JOD) . The exchange rate as of 14 Nov 2007: US$1 = JOD 0.71330. Property value is US$250,000, approximately JOD 180,000 (178,325). A 0.6% stamp duty is imposed on sales contracts. It must be paid within one month after the conclusion of the contract. For late paymets, there is a fine equal to three times the amount of duty payable. For property transfers, the government imposes a 10% tax, 4% paid by the seller and 6% by the buyer. Brokerage fees are typically 2% (plus 16% sales tax) paid by both buyer and seller. How high are estate duties in Jordan?